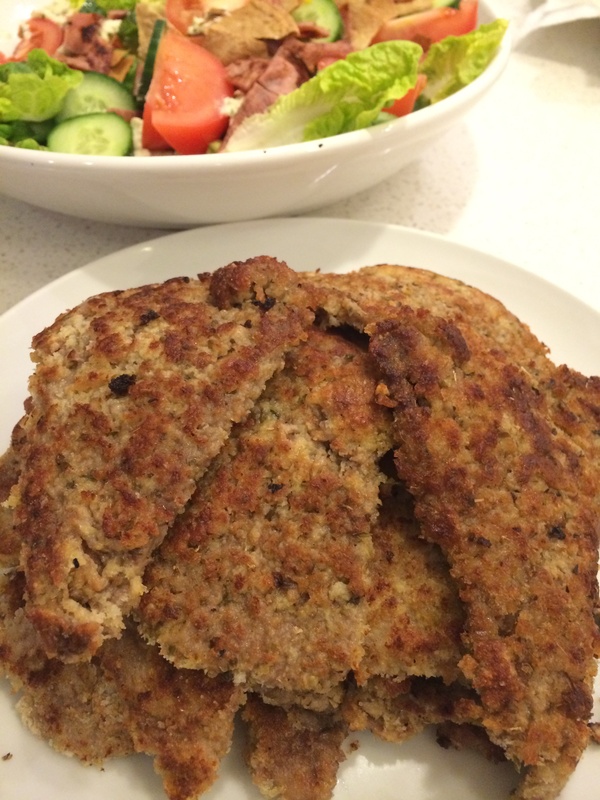 Yummy schnitzel, working through Chelsea Winter’s blog recipes and next on the list to try was crumbed Beef Schnitzel. It’s a lot more effort to make crumbed beef schnitzel. The thermomix doesn’t help much with this one. 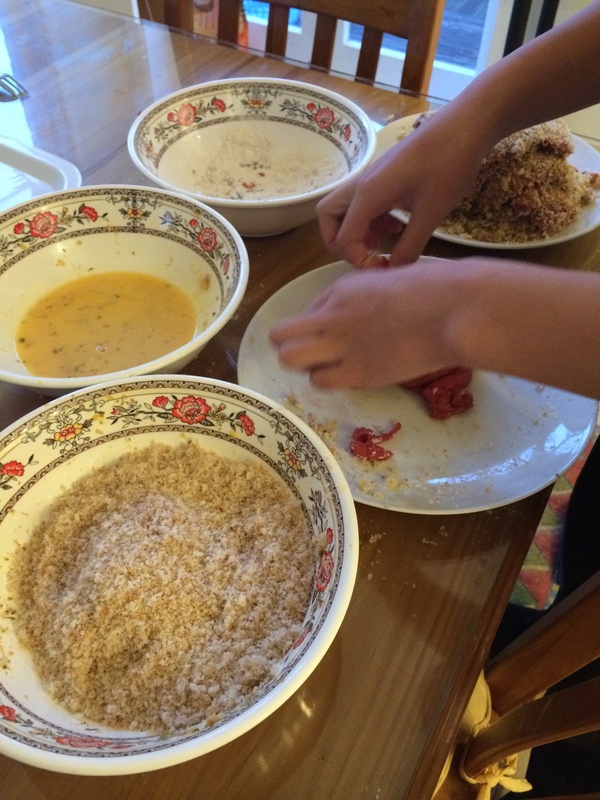 But wanted to make two nights meals and lunches in one night and it helps when you have a teenager on hand who’s keen to bash, crumb and fry the schnitzels while mum cleans up. The thermomix was used to blitz the herbs and old bread to make panko. Blended bread speed 9/10 until sound changes. Panko made from bread ends. We sprinkled salt onto each schnitzel as it cooked and these were great wrapped in lettuce. Didn’t need the Parmesan sauce. Another goodie to be saved to favourites.